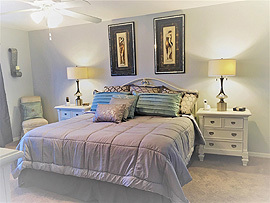 Our family extends a warm invitation to you to enjoy the delights of our luxurious 5 bedroom (3 U.S. KING Beds), 4 Bathroom Executive Lake View home. We invite you to share our home where you will experience the environment you know you deserve, we will do everything we can to make your stay as enjoyable as possible - why settle for less? From the moment you arrive you will see we have created a quality environment, and regular visits by us, ensures that our home remains immaculate and meets our own and our guests high standards. 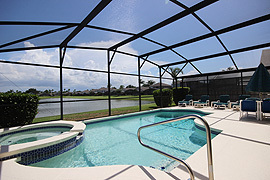 Our beautiful, spacious but inviting home has been exquisitely furnished and comprehensibly equipped with everything that you would require for the perfect vacation. Southview Villa lies in a quiet secluded enclave of luxurious private executive homes surrounded by wooded areas and three lakes. It is situated within the prestigious resort of Lake Berkley, a peaceful oasis and an ideal place to enjoy the tranquillity away from the crowds and pamper yourself. 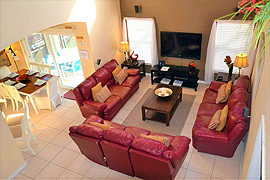 Just 10 minutes from Disney World and perfectly situated for all the theme parks. We are literally minutes from unlimited shops, dining and entertainment attractions that have become synonymous with the 192. If you must keep your "Finger on the Pulse" don't worry as we provide free wireless internet access and free National and International phone calls 24 hours a day. It is the perfect place to embark on an enchanted journey of Central Florida and see the delights it has to offer the entire family.